Watch for a Supermoon today and tomorrow — it’s the closest and biggest full moon of the year. 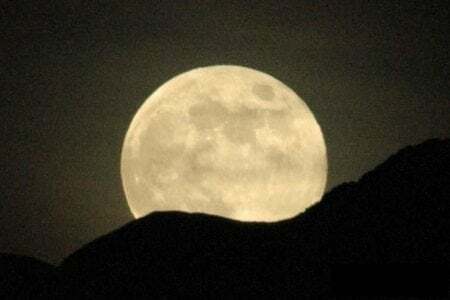 How to watch this weekend’s supermoon is from CBS News. What does a supermoon look like? is a photo gallery from CBS showing images from last year. 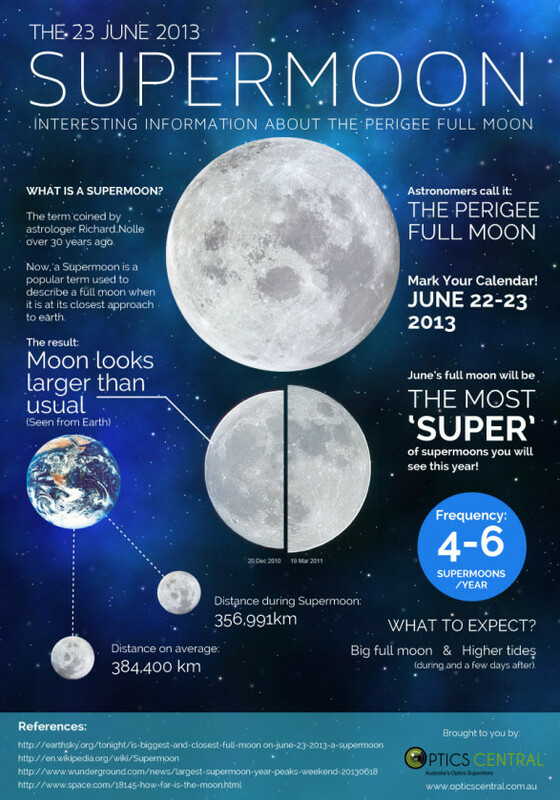 The 23 June 2013 Supermoon infographic by mhars. Your Last Minute Guide to the Supermoon is from The Atlantic. Supermoon rises is a slideshow from The Washington Post. Up in the sky, look: It’s Supermoon! is a CNN slideshow. In pictures: ‘Supermoon’ lights up night sky is from The BBC. 10 things you should know about the supermoon is an infographic from The Guardian. Rare supermoon lunar eclipse lines night sky this month is from The New York Daily News. Rare supermoon eclipse is an interactive and video from the AP. NextAsk A Classroom Question, Any Classroom Question….